This course combines together the 2365-2 and 2365-3 courses. 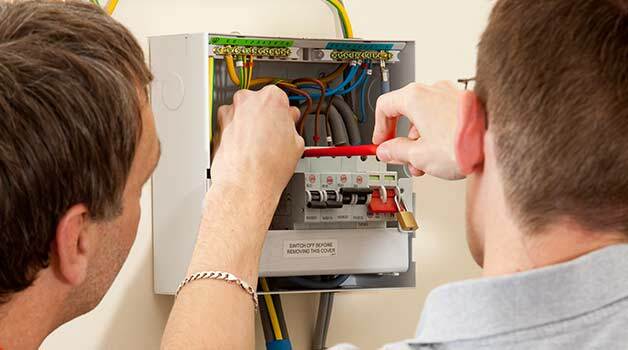 This package is recommended for those wanting to train as an electrician and ensures you gain the two qualifications you need to progress to higher level accreditation. Make that move – take the steps towards full employment as an electrician with City and Guilds 2365! Wanting to train as an electrician? If you’re seriously considering electrician training, whether it be commercial, industrial, agricultural or domestic locations, this course is your first step on the electrician career ladder. City and Guilds 2365 is the industry standard default qualification and is an official replacement for the prior course, City and Guilds 2330. Whether you’re employed as an electrical apprentice by an electrical contractor or simply looking for a new career, City and Guilds 2365 will ensure you get the training you need to work towards becoming a full electrician. This course is ideal for gaining employment as an electrician; most candidates go on to full employment by electrical contracting firms after the training, and many have also gained employment while working towards the full qualification. After completion of City and Guilds 2365, you’ll be able to move onto additional programs including electrical NVQs and AM2. Note: this course can now also include the 17th Edition (2382-15) course and examination, which is another essential electrical qualification for aspiring electricians. Interested in this course as well? Call us directly for further information. Interested in current availability, dates and locations for this course? Call us directly on 01642 987 978. Why Take City and Guilds 2365? This qualification is designed to help you gain full time professional employment as a rookie electrician. With this course qualification, you are eligible to gain employment with electrical contractors and can seriously consider changing your career. Although electrical apprenticeships are a route that many take, this may not be available to all people. Most electrical employers do not like the idea of taking on new apprentices with no prior training; there’s no way of knowing if they have the skills and determination necessary to fully pursue the career they’ve landed in. With a City and Guilds 2365 qualification, potential employers are likely to look at you much more favourably. You’ve proved that you have the skills and ability to undertake and succeed in a wide variety of electrical tasks and employers will look to this as a sign that you’re a much more wise investment. After taking this training, many students go on to employment with electrical professional firms. Your employer can then opt to take you on additional courses, allowing you to complete onsite electrical work training units or work towards a full, professional NVQ as a practicing electrician. What Work Can I Do After Completing This Course? 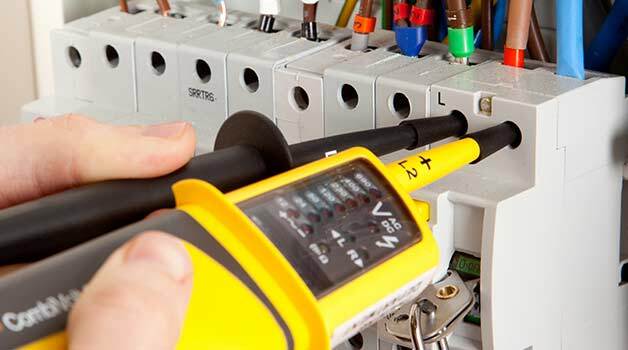 With a City and Guilds 2365 qualification, you will have undertaken a wide variety of electrical tasks to prepare you for work in the electrical sector. 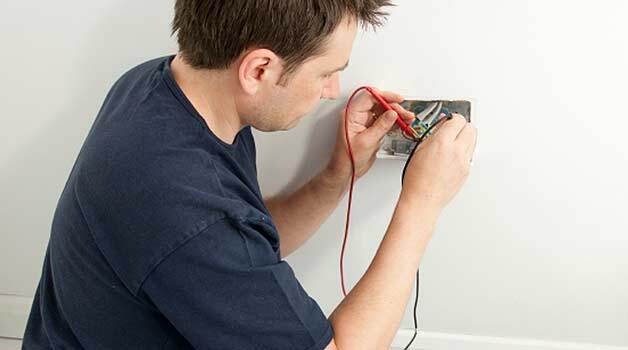 As a constantly growing and in-demand line of work, becoming an electrician is an excellent career move; you can work in any environment you choose and – when fully qualified after working with an electrical contractor and gaining your full accreditations – can even consider starting your own self-employed electrician business. Work behind the scenes within theatres, stadiums, events and other applications. This is just a taster of what you can do with City and Guilds 2365 – the choice, ultimately, is up to you. Whatever path you decide to take, you can rest assured that with a 2365 qualification, you’re much more employable and have the skills you’ll need to succeed within your chosen electrical discipline. What’s the City and Guilds 2365 Course Like? City and Guilds 2365 takes place over a total of 16 weeks, including a combination of both theory and practical training at both Level 2 and 3. You’ll be taught by our professional expert tutors, who will guide you through every aspect of this module in an easy to understand manner. Over the 16 weeks, you’ll build up your electrical knowledge, learn new practical skills and learn a completely new discipline. Our tutors are commited to ensuring your successful completion of this course. They’re on hand at every step of the process from helping you install some wires or with a question you don’t understand; no matter what is is, your continued success is our number one priority. As part of the course, you’ll be in both classroom environments and working within our purpose-built electrical training centre where you’ll undertake practical tasks on real electrical installations. This version of the City and Guilds actually includes both the Level 2 and Level 3 course content which can also be taken individually. Taking this combined course package is the best way to ensure you gain full, comprehensive training up to Level 2, then Level 3 standards. As part of this training, you’ll learn both electrical theory and pratical electrical skills in a wide variety of different applications. As you progress through the course, you’ll work through the level 2 course content before progressing onto level 3. What’s In the Level 2 Course? This module combines together theory and practical work. This theory-based module will help you to understand electricity itself, the science behind it and how to use electrical forumlas within your work. 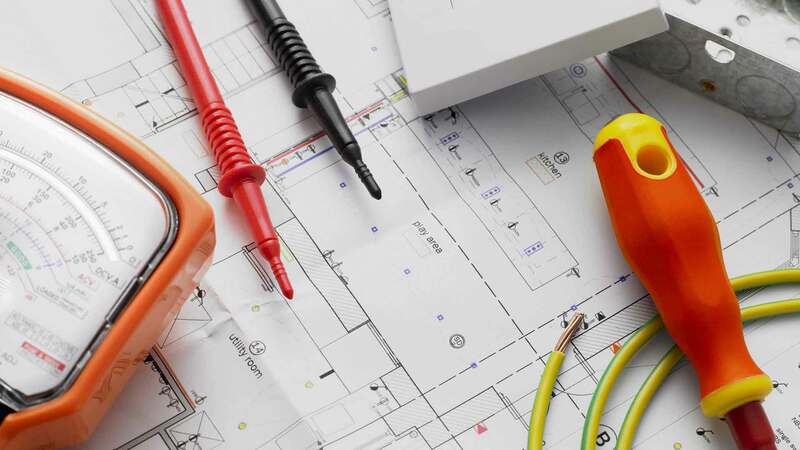 Using a mix of practical and theory skills, you’ll learn the principles and industry standards/requirements for electrical installation technology, including earthing systems and the installation of wiring systems. Again with both practical and theory-based elements, this module will strongly focus on developing the skills required to install wiring systems to all relevant standards. You’ll be using tools and materials in practical tasks to simulate electrical installation work alongside developing sound knowledge of how to inspect and test wiring systems. This practical/theory module will help you develop effective working relationships with others in the building services industry. This module will be essential for any electrician working in dwellings, industrial and commercial premises as well as those working for private and contract type clients. When you’re done with all these modules, you’ll be qualified to Level 2 standards and can move onto Level 3! What’s In the Level 3 Course? You’ll be using all of the skills you learned during the Level 2 course constantly during Level 3. You should apply all of the working practices you’ve learned so far, and these modules will help you further develop your new skills up to Level 3 standards. As with level 2, there are several different modules which make up this course with a mix of both theory and practical work throughout. This theory-based module will develop your understanding of the rapidly-growing renewable energy sector. In a classroom environment, you’ll learn the electrical science of AC theory, machinery, devices and systems. This is fundamental knowledge for any electrician, particularly when desigining wiring systems or performing fault diagnosis. This is actually a continuation of the 202 module which you will have taken during the Level 2 course content. Use and expand your existing practical and theory skills to learn how to carry out fault diagnosis and rectification of complex electrical systems safely in accordance with all requirements. With practical tasks and assignments included, this module is designed to teach you how to carry out inspection and testing of complex electrical systems safely and in accordance with regulatory requirements. You’ll use the skills you’ve learned so far to put this knowledge into practice in simulated environments. Under this module, you’ll learn to understand electrical system design and design techniques, as well as how to determine system requirements. You’ll be able to plan work programmes and understand the contractual implications of electrical design. Learn how to plan your own career development – what steps you need to take to get to your desired career route.